Many industries are sensitive to weather conditions. Activities in and around port areas are particularly susceptible to such conditions. Not only wind is a very important factor (crane operations and stacking containers), but also factors such as visibility, temperature, precipitation and hydrological factors such as wave and current. Port authorities and most container terminals are subscripted to receive location-specific weather forecasts supplemented by local stations providing real-time measurements. 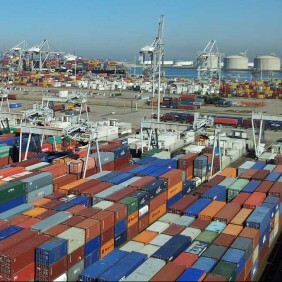 Observator has an extensive experience in setting up monitoring stations in harbor areas such as container terminals. 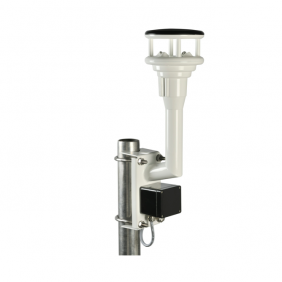 In addition to meteorological knowledge Observator also supplies sensors for the determination of water-related parameters, which are normally obtained by the Port authorities. Observator installed various stations to measure wind speed and direction, temperature / humidity, visibility and present weather, precipitation and even road condition on many terminals. Usually the existing LAN-network is used for data distribution, where the actual whether circumstances may be viewed on several locations. Dedicated wind displays can be installed in the cranes driven by LAN or by radio link. As a central software system OMC-Data-OnLine is used which can be equipped with a web server for data distribution through the internet. 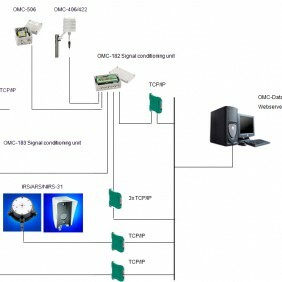 The software may further be provided with a Modbus server in order to share the data with PLC’s which can be used for the generation of alarms and control of latches.